When we came across this shop, I was completely entranced at the wonderful things it had on offer. It sells both hand-made children's clothes and fabrics, as well as accessories such as bunting, bias binding and purses. Its quite a tucked away shop and we stumbled upon it entirely by accident, but my whole family then spent a wonderful time looking at everything it had to sell. Unfortunately, all of the clothing is for small children, but luckily it also sells gorgeous fabrics, and after seeing a mini-pair of pyjamas, my sister asked me if I could make her some, to which I accepted, of course! You can see a photo of the front and back here. The back has a pocket on the right hand side, which is a detail that I love. The pyjama shorts were really easy to make, all I did was trace a pair of my sister's existing shorts and I then vaguely followed this tutorial, which I would highly recommend for anyone speed sewing! 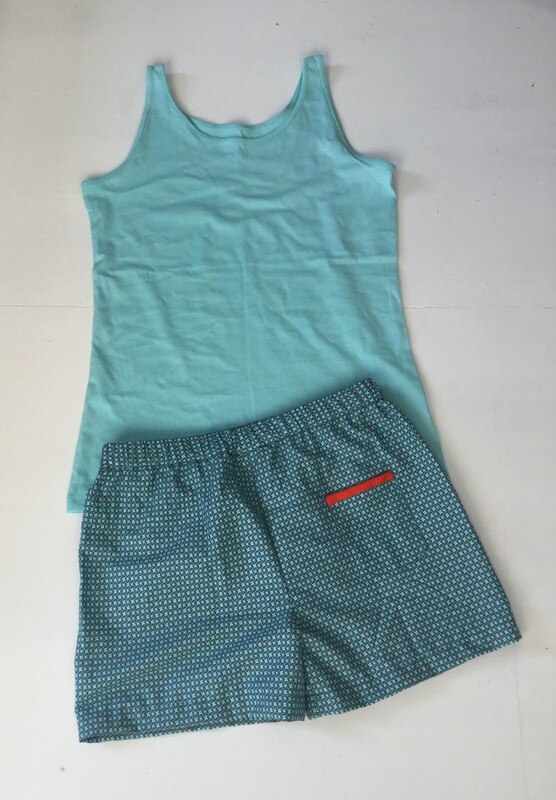 The main feature of this shorts pattern that I like is the fact that there is no side seam on the outside, and the way of doing this is explained in the tutorial. 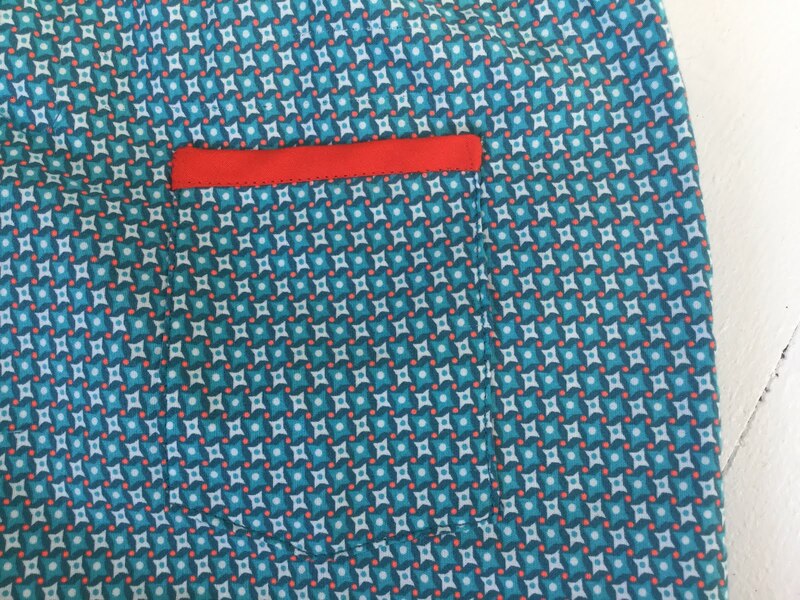 Here is a close up of the pocket, my favourite feature! I love extra details on patterns and this ticks all the boxes. I always love sewing with beautiful fabrics, despite the fact that they are sometimes nerve wracking to cut into. The fabric that my sister chose is this one, and we also bought some orange bias binding to go with it for the top of the pocket, which is a feature copied from the one in the shop. (By the way, they also have a great selection of coated cottons). One of my favourite things about pyjamas and other lounge-wear (ish) items is that you can go for what ever fabric you like, it doesn't matter how bold the print is! Pyjamas are also a great thing to make out of quilting cottons. I'm really happy with these, as is my sister, it was a really fun and fast project. The hot-pink detail on the pocket is a great idea!